One of the saddest things about the passing of writer and TCM television host Robert Osborne was that the entertainment world lost one of its best interviewers. Knowledgeable, attentive and always a gentleman, his subjects were often inspired to open up because they trusted him, and rightly so. 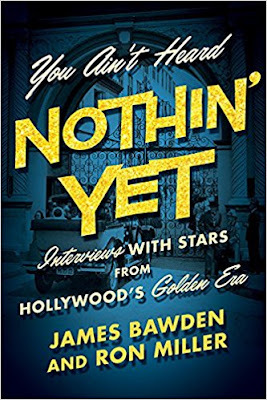 I often thought of this while reading You Ain’t Heard Nothin’ Yet: Interviews with Stars from Hollywood’s Golden Era a collection of dozens of interviews of classic film stars conducted by journalists James Bawden and Ron Miller. These two possess all the desirable qualities Osborne did and it shows in the depth and candid nature of their work. The book is organized into several sections, with both broad and specific categories. There are the extensive Leading Men and Leading Ladies chapters and then smaller tributes to child stars, movie monster men, character actors and the like. Context is provided for each interview, including a brief biography of the subject and a description of the circumstances of the interview; both of which were helpful in understanding the conversation to follow. Bawden and Miller draw material from long careers and strong relationships with the residents of Tinsel Town. 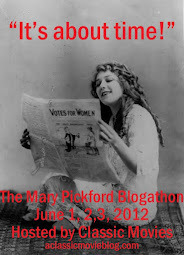 The names could be as big as Bette Davis, Elizabeth Taylor and Henry Fonda. While these conversations with industry giants are satisfying, devoted classic film fans might treasure hearing the words of lesser known performers like Bonita Granville, Jack Elam and Hurd Hatfield even more. Overall, it’s an interesting gathering of talents, intriguing enough that it was difficult to decide which one to read next. In his introduction to the book, Miller outlines his rules for interviews, which are grounded in respect for the humanity and personal privacy of his subjects. He reveals that often that regard for boundaries would lead to more confidences shared rather than less. For that reason, both he and Bawden, who seems to have taken a similar approach, drew something richer than a production history or a few benign on-set remembrances from these stars. You learn how Bette Davis was so disgusted kissing poor, sour-faced Edward G. Robinson that she had to close her eyes or get the low-down on Jane Russell’s conspiracy theories about the death of Marilyn Monroe. The stars stay remarkable to the reader for the unusual lives they’ve led, but they also become more human. 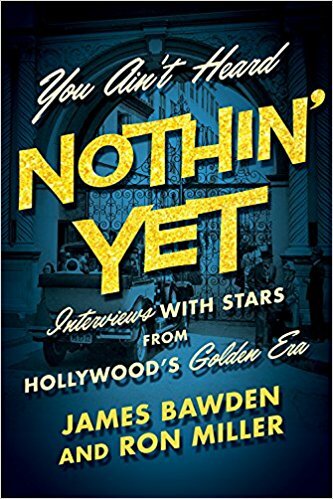 There’s an almost bittersweet feel to the You Ain’t Heard Nothin’ Yet, because the interviews were mostly conducted late in the careers of the stars featured. Most of them have happy experiences to share and a sense of satisfaction with their successes, but there are also disappointments, loss and regrets. There’s Victor Mature, who made as much money as he had to, as soon as he could, and happily retired to marriage, fatherhood and the golf course, but there’s also Buster Keaton, who struggled after the silent age and had to work past his desire to do so because of unlucky investments and a rocky life. For the most part though, it’s fascinating to learn how these stars felt about the remarkable lives they led and especially how they interacted with other performers. It’s encouraging that they seem to have so many genuinely appreciative memories to share about each other, though it's always entertaining to get a little jab here and there as well. This is an addictive book. It’s charming, revealing and graceful in a way that speaks to the past. I would hope every aspiring journalist would read this and take a lesson from the rewards these men reaped by simply treating others with respect. There was nothing tragic about Buster Keaton's later life, he was happily married to a beautiful woman who doted on him, he was busy working on television and movies and still a known celebrity to the public when his contemporaries were retired or dead, he made more money in the last fifteen years of his life than he ever made working for Joe Schenck in the silent days, and was a workhorse who wouldn't have retired until he was planted whatever his circumstance. If the interviewers are portraying him as a sad old broken-down has-been, they are the mistaken ones. I didn't say that Buster Keaton's later life was tragic. I repeated the facts that he shared himself in his interview. I know his full history as well, but I will let him draw his own conclusions about his own life. My point was that some had an easier road than others.